Ok, so I’ve given up trying to catch up on my blogging and will now concentrate on blogging our time on the Barbados 50 rally, trying to fill in the (large) gap I’ve left behind as I go. The sail across from Agadir in Morocco was eventful to say the least. We started at 10am after checking out of Morocco, by motoring in thick fog, which gradually cleared as we got away from the Moroccan coast. The swell and the wind both gradually picked up and just as we were thinking about turning off our engine, we got a large chunk of rope caught up in it. We switched off the engine and folded up the prop and off it came only to drift back onto the fishing lure. Phil managed to pull it in but it was too heavy to lift to get the lure off. 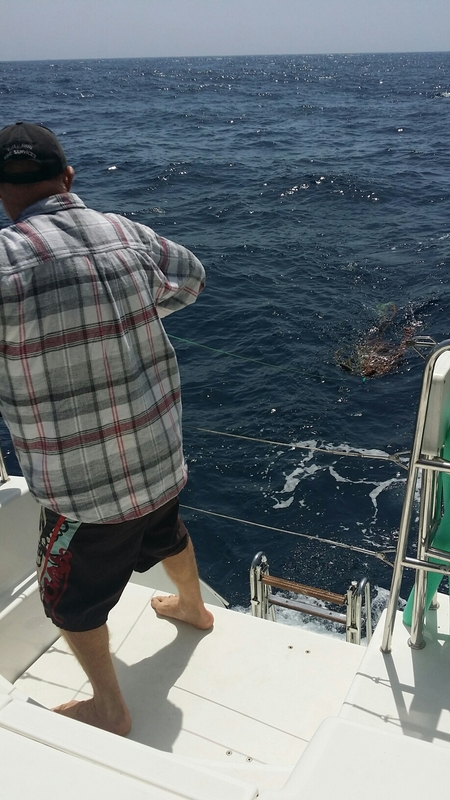 Atlantic Ocean 1 – Lure 0. Then we were off sailing. 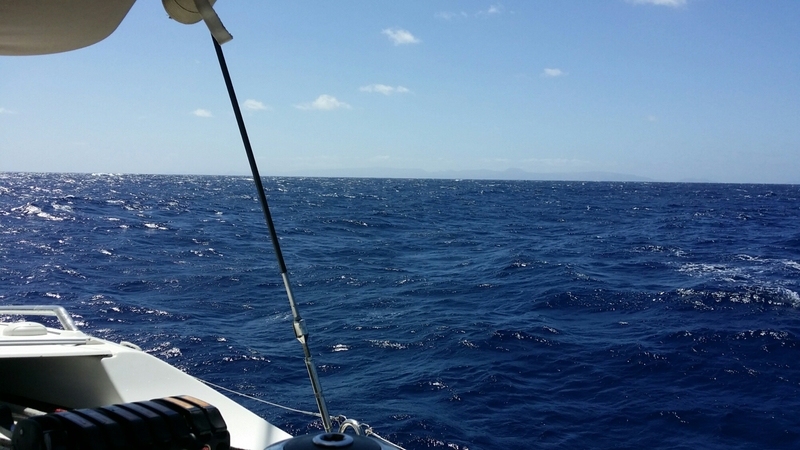 We soon had 1 reef in and were being hit by a large side swell as we were on a 90 degree reach travelling 7-9 knots. This time we were just talking about putting in a second reef for the night when we got pooped by a rather large wave, which broke over our back deck. Time for a second reef. Then not 5 minutes later the autopilot disengaged and went on strike. Atlantic Ocean 2 – La Mischief 0! With Meagan not ever having hand steered we quickly decided on a roster of 3 with Meagan sleeping through the night and steering in the morning. It wasn’t too bad at first when the moon was up right in front of us, but when it disappeared at 1am, it was steering by compass and wind angle only. Morning came and Meagan did a great job hand steering for the first time in her life. And then at 2pm, Eric the autopilot woke from his coma and magically started working again. Finally we entered Lanzarote Marina in the capital of Arrecife at 6pm and found our berth. The marina is spacious and modern, so modern that most of the power points were for super yachts. We pulled in forwards between the long finger jetties and got out our power cord, which didn’t quite reach the only small power point in the vicinity. So we simply backed out of that slip and in backwards to the slip behind us. Perfect. And much closer to the bars, laundry and supermarket. This entry was posted in Canary Islands by stull61. Bookmark the permalink.